This morning we spent some time in the Otago Museum in Dunedin. An excellent place to do some sketching. Here are a few quintessential New Zealand specimens! These are very beautiful but where’s the weku? We saw weka and weta but I didn’t draw them! Beautiful drawings! How do you do it? Thanks – I had a lot of fun doing this one. Pingback: Otago Museum — Tabitha’s sketchbook — С любовью к людям! 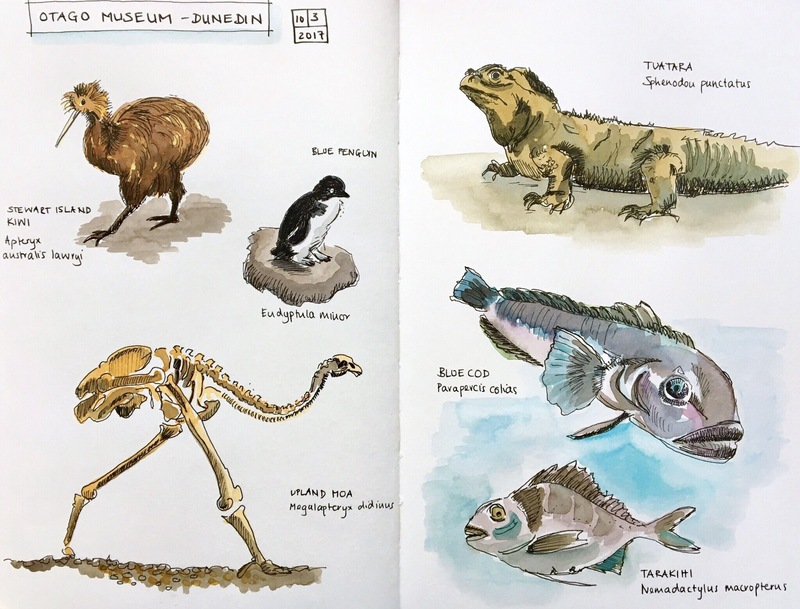 Pingback: Otago Museum — Tabitha’s sketchbook — До каждого с миром!